About UsThe best fishing on the coast! Looking for a fun day out on the water, come join us and experience the calm inland salt waters on the Georgia Coast. No worries about getting sea sick on our boat, it’s like bass fishing on the lake but all salt water and you never know what you’ll catch. 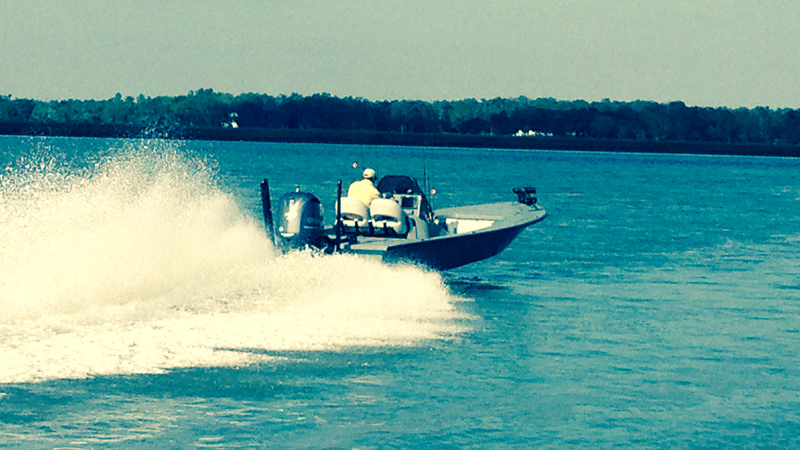 A giant redfish, a 6 foot shark or a mess of trout, every day is different. Let us know what you want to catch. This powerful shallow water fish is plentiful along the Georgia Coast year round. Primarily a crab eater this fish may be caught in the flooded marsh grass or tops of oyster shells at high tide. Low water provides opportunities along mud flats and structure such as docks, shell rakes and trees. We catch a lot of these fish on minnows, shrimp and cut bait. Fish 14 inches to 32 inches are common. 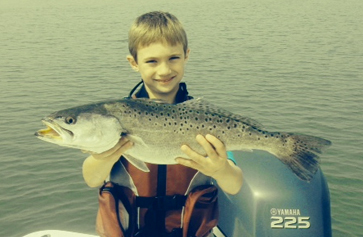 The speckled sea trout is our most sought after table fair species. Named a trout but actually of the drum family this vicious striker starts out eating small minnows and shrimp then prefers to eat larger bait fish like mullet and poges as it ages. These fish must be at least 14” to keep and our winter weather plays into our catch each year. A trophy fish here would be in the 4 to 6 pound range. 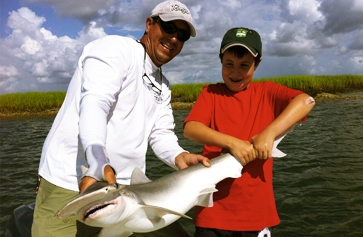 On any given day you may also catch flounder, sheepshead, black drum ,blue fish , whiting, ladyfish , jacks and a variety of sharks including the Bonnet-head. Landing one of these bonnet-heads on light tackle can provide one with a true appreciation for the power of all sharks in the ocean. Tighten the DRAG!!!! Operating out of Chimney Creek Marina www.thecrabshak.com on Tybee Island, Marshland Adventures is a local guide service that was founded in 1998. Owner and Full-time Guide Captain Stan Allen is also a fireman by trade. 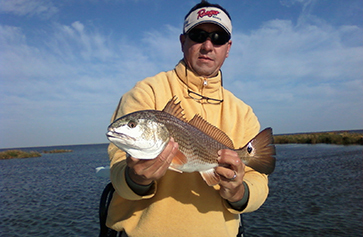 When he's not too busy Captain Stan is on the road fishing the professional redfish tour from N.C. to Louisiana. Come join us for a fun day on the calm inland salt waters of Coastal Georgia that we call home.